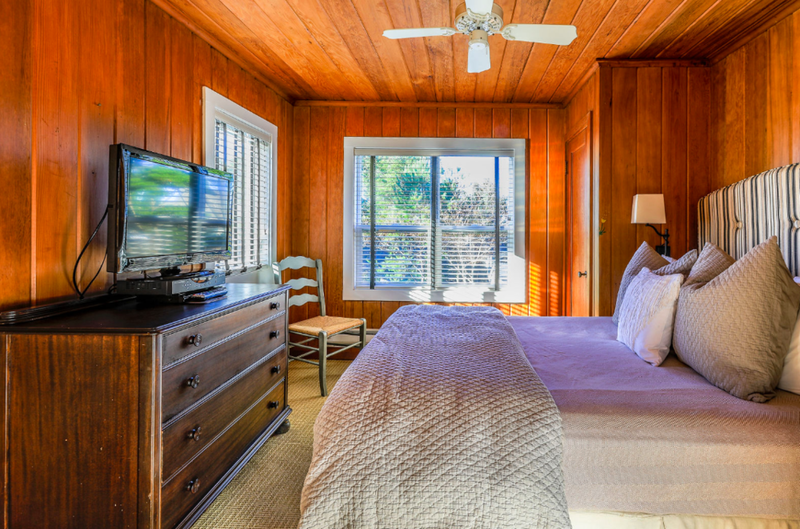 Room #1 is a beautiful one-bedroom queen suite, which features a comfy queen bed in a private bedroom, and a twin "captain's bed" and pull-out sofa in the living room. 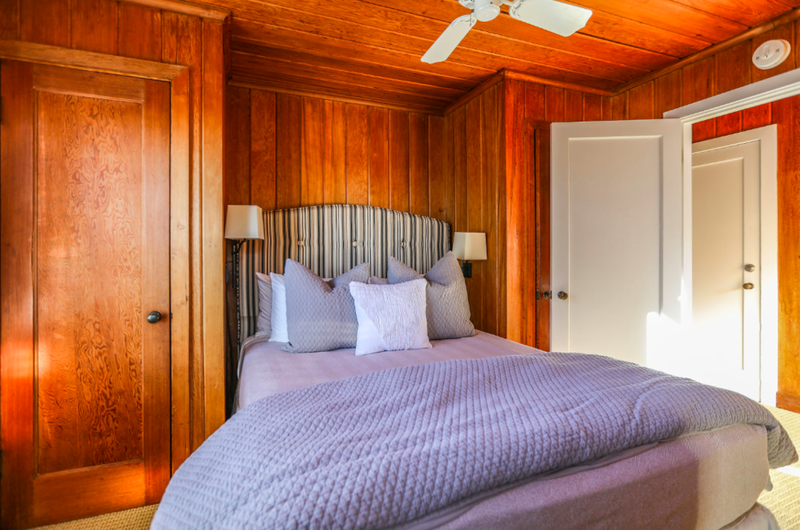 As with all of the rooms here at the Inn, Room #1 also features a fully-appointed kitchen and a rustic wood-burning fireplace, perfect for those cool evenings on the Oregon coast. 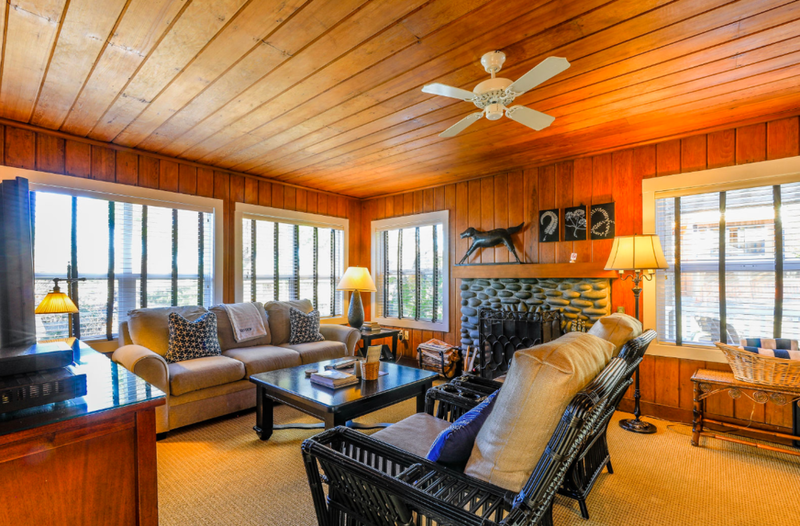 Room #1 has two entrances: One opens onto the upper community sun deck; the other opens onto a small private deck facing north toward Cannon Beach, which is five miles up the road. No pets are allowed in this room, please. Room #1 is on the north side of the Inn, with windows looking west and north. Room #1 has a dedicated parking spot in the lower lot, accessible from W. Ocean Lane. The Inn at Arch Cape is dog friendly and welcomes your well-mannered and supervised dog in specified rooms.